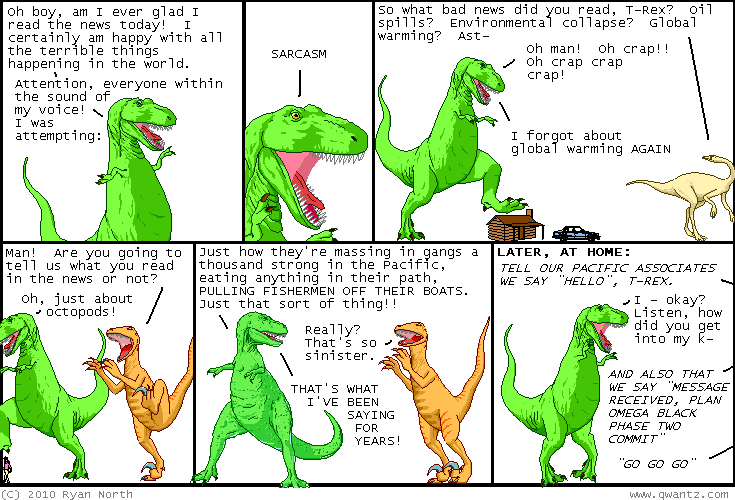 Dinosaur Comics - September 23rd, 2010 - awesome fun times! September 23rd, 2010: Based on a true story: not the words you really want to hear? In real life they're squid, but I went with "octopods" here for the fictionalized version because the word "octopods" is basically great. It's okay if you whispered "yes, I agree" as you read that last sentence: WE ALL DID.